Get the look and feel of real hardwood without the worry. 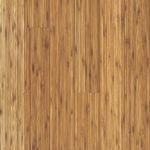 Laminates simulate the natural grain of real wood. Most types of Laminate flooring have a tongue and groove interlock system. Virtually any flat hard surface is suitable for a "floating" laminate installation. Only the joints are glued or attached, while the body of the floor rests unattached to the underlayment. Laminate flooring contains a stain and wear resistant decorative surface, Designs have a wood grain, realistic stone or marble visual appearance. Laminate floors are produced in long rectangular shaped planks, square tiles, or double wide planks. How can you tell the difference between laminate flooring and 'real' hardwood floors? And which one is better? The benefits of laminate flooring can be summed up in two words - cost and durability. Laminate flooring offers the appearance of real hardwood floors or stone tile, but for about two-thirds the cost. Laminate flooring is made of various layers that are fused together.